Finally an art exhibit reflecting on the impact of two hot sauce giants. 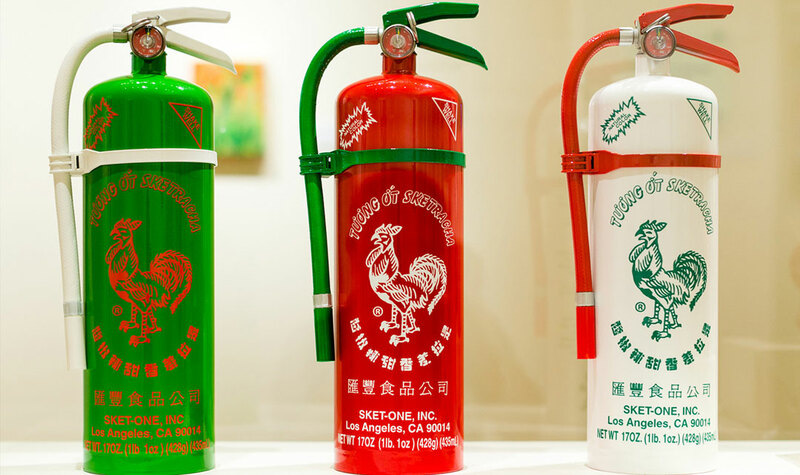 With a cult following like no other sauce, Sriracha lovers can see artist renditions of their favorite sauce on display through July 12th at the Chinese American Museum in LA. The exhibit consists of 25 different artist and admissions is FREE. The exhibit itself is about more than the hot sauce. It’s an avenue to showcase the impact of these Asian and Latino condiments and people have on our culture. Though they fell a little short of their IndieGogo campaign, the exhibit is on and looks amazing from the pictures I have seen. I wish I wasn’t across the country, and am really looking forward to seeing more of the artist’s work. For more information on the exhibit as well as included artists and times, visit: http://camla.org/current-exhibits/#la-heat-taste-changing-condiments.